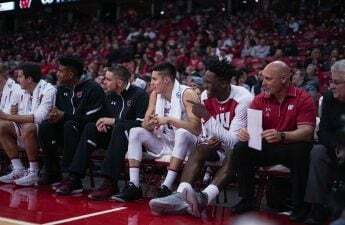 The Badgers continued their winning ways on the basketball court with a thrilling overtime victory over Indiana for their third-straight win. After a rough beginning, Nigel Hayes turned himself and his team around in route to a fourth consecutive sweet 16, capping his senior season with a game-winning shot and earning the title of the Badger Herald’s Male Athlete of the Year. 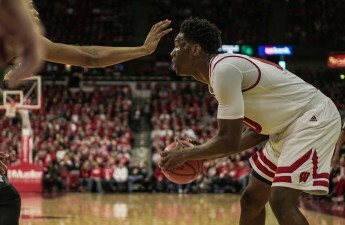 Throughout the year, Nigel Hayes became one of the biggest question marks for the Badgers, struggling to find his jumper and proving to be a liability at the line. As the season wore on, Wisconsin fans longed for the player they saw in the second half of the 2015-16 season when he led a young team to the Sweet 16, or the sophomore who stole the show on the Badger’s run to the NCAA championship. Yes it was clear, Hayes no longer had the supporting cast of guys like Kaminsky, Gasser and Decker. But if his college career up until this point was any indication, the senior from Toledo, Ohio was more than ready to take the reins. As his final season in Wisconsin began, expectations peaked for a team whose leaders (Hayes and Koenig), have never lost in the first round of the NCAA tournament. 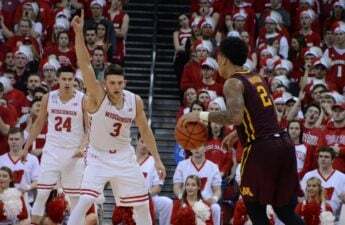 With a talented group of young players including sophomore Ethan Happ who burst onto the scene in his freshman campaign, Hayes and company were poised to continue the streak of success deep into the playoffs. Living up to those expectations, the Badgers jumped out to one of their best starts in program history with a record of 22-3. With the team rolling behind the play of Ethan Happ and Bronson Koenig, Hayes struggled to find that elite talent we’ve known for three years. The biggest wakeup call came at the end of the season when Wisconsin lost five of their last seven, and a team built on success and consistency couldn’t find either. 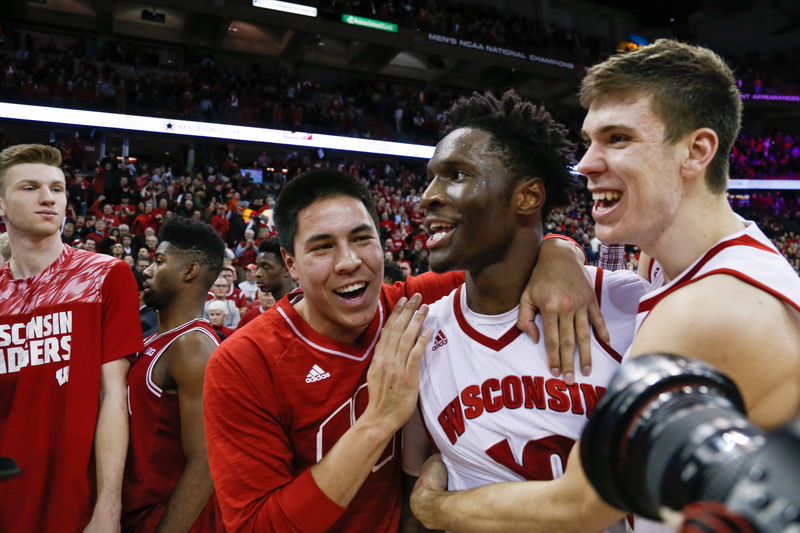 With the Big Ten and NCAA tournaments knocking at their door, the Badgers were scrambling for answers, and where better to look than Nigel Hayes. Despite Hayes’ struggles from the line, 59 percent, the Toledo native was not settling for a late season collapse to cap off his historic career. Like most great college and professional players, Hayes turned it on when it mattered the most. After falling to the Michigan Wolverines in the Big Ten Championship game, the Badgers had their confidence back, and a chip on their shoulder after being named an eight seed in the NCAA Tournament. Similar to past years, the tournament was where Hayes came alive. 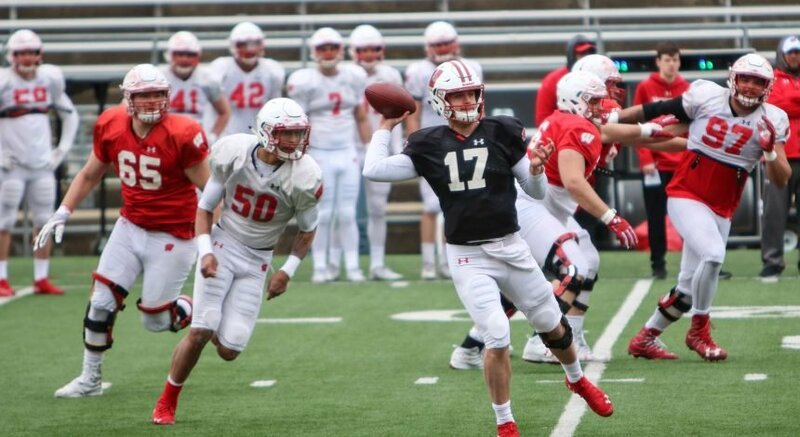 After breezing by Virgina Tech, the Badgers faced off against the No. 1 overall seed Villanova in just the second round. After a turbulent season from the line and the field, Hayes shot over 50 percent from the field against the Wildcats, scoring 19 points including a Jordan-esque baseline fake to seal the deal against the top seed. The Villanova game, like Hayes’ season, was a rollercoaster. A run here, a slump there, but in the end the veteran proved his worth, cementing his legacy in Wisconsin basketball. Along with a career shot to take down a one seed, here’s a list of some of Hayes’ notable achievements in his final year as a Badger, making him our Male Athlete of the Year.